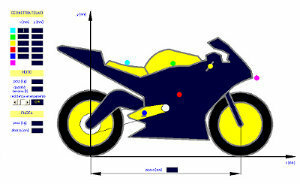 for the presentation RACING BIKE ANALYSIS is a software developed to help technicians and riders in the set-up of the suspension and of the motorcycle balance. 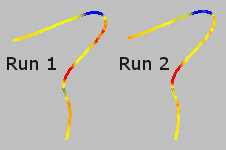 In fact allows you to exploit the data acquired by your acquisition to calculate the dynamic behavior of the motorcycle This will make it easier analyze the problems of grip and adherence and you will see how the set-up of the suspension influences the balance of the motorcycle and the tire temperatures at every point of the track. The data acquisition is essential, and from this, together with the the rider sensations, coming out the directions on how to improve the set-up of the motorcycle on the track. The race engineer or the technician intended to this role must have the capacity and the ability to interpret the data acquired to translate them into appropriate directions of set-up. The task is difficult because the data acquired not explicitly indicate the problems and how to solve them, and then the technician must rely on their own experience to make the correct set-up evaluations and choices. 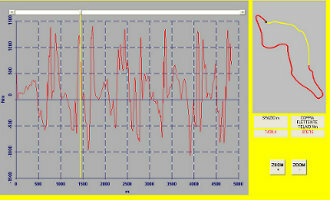 Racing Bike Analysis instead allows you to exploit the data acquired to obtain information more easily interpretable and to evaluate in advance the effects of the changes of set-up that you intend to do, about the behavior of the motorcycle and of the tires. In fact the software through the data acquired calculates the dynamic behavior of the motorcycle , this allows firstly to analyze the performance in a more clear and explicit. 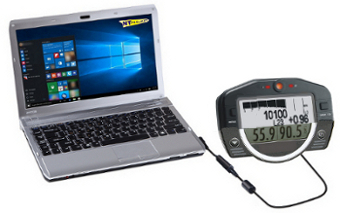 Thanks to the calculations made by the Racing Bike Analysis software, the analysis of the data collected from the acquisition will be much easier and more complete. In fact, thanks to the calculations made, the software allows you to immediately have that information to understand where the problems are and then direct the interventions set-up in the optimal direction. 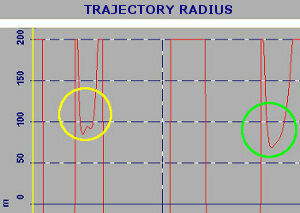 The software shows directly on the track the criticalities emerged then immediately you can have a picture of the situation, useful also to compare it with the feeling reported by the rider. 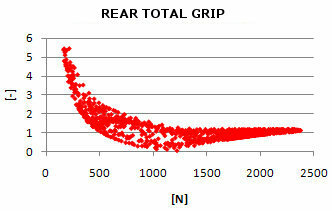 Already from this first result it is clear that thanks to Racing Bike Analysis software will have an immediate answer on where are and what are the problems that limit the performance. 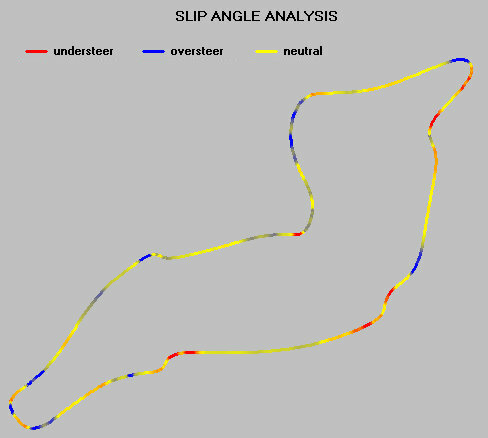 This is even more important when comparing the results of two runs performed with different set-up in fact it is immediate to see how the changes made have influenced the motorbike behavior in the different points of the track. 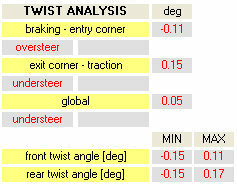 As you can see in this example, thanks to the software, it is immediately clear how the changes made to the set-up used in Run 2 have allowed to reduce understeer at some points in the track and this is essential to orientate the subsequent interventions. 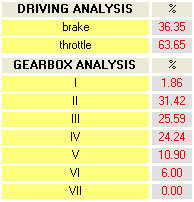 Another fundamental aspect in competitions is to understand how the tires are working, the software thanks to its calculations allows you to have a complete picture also for this aspect. 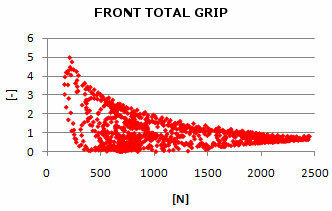 For first calculates the grip that the tires were able to provide during the lap under consideration, and how the grip that tires have provided changes in function of the loads that there are on the wheels, this information is very important to understand how the set-up that is used make working the tires, and session later session, the analysis of this data will give you immediate answers on how effective is your setup and how can be improved to obtain the maximum from the tires. 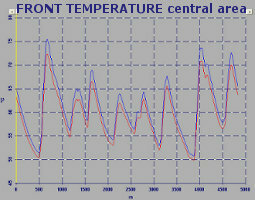 Another fundamental aspect to get the maximum grip performance is the management of the tire temperatures, for this the Racing Bike Analysis software in function of the acquired data and of the dynamic calculation, calculates the trend of the tire temperature during the lap and how it grows during the laps . 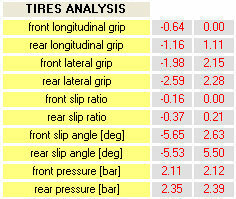 This is crucial both in the analysis phase for understand how the tires are working at every point of the track, both when you want to compare different set-up to see how these affect the temperature of the tires. 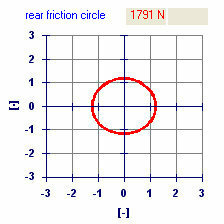 The software calculates how the tire temperature changes in the central area, on the right side and on the left side , this can be very useful even for the rider to understand the possible points of the track where the tire tends to cool and goes out of working area, or where it tends to overheat and therefore needs to do careful for not burn it excessively. 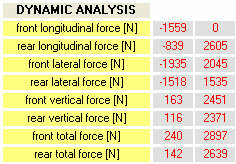 Another very important calculation that the Racing Bike software Analysis performs processing the acquired data is the line that it is traveled. 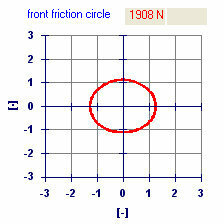 Thanks to special filtering algorithms comes calculated the radius of curvature and this is fundamental to understand how the rider is driving, in fact from the analysis of the radius of curvature it is possible to see in which corners the rider is in difficulty, and where his guide is not clean. 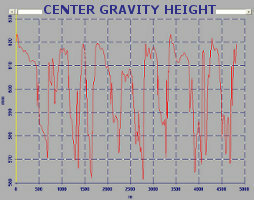 To perform the above calculations, the Racing Bike software Analysis of course calculates the behavior of the suspension in each point of the track , and shows how this translates on the balance of the motorbike, in fact in addition to see how work fork, shock absorber and swingarm, allows to analyze weight distribution, wheelbase and height of the center of gravity. 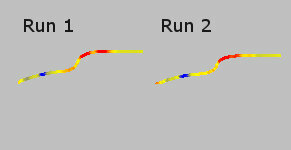 In addition to these fundmentals calculations for clearly understand the behavior that the motorbike has had and therefore know how to orientate the set-up in the correct direction , the Racing Bike Analysis software also performs a calculation that can be useful during development of a motorbike . 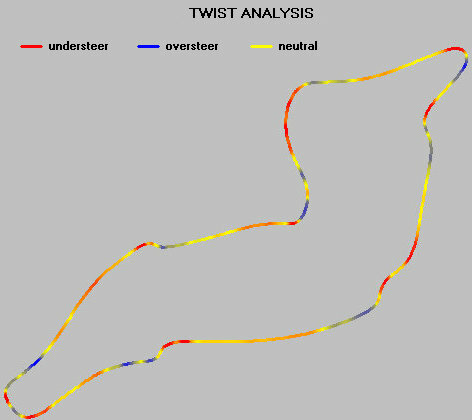 Indeed inserting the torsional stiffness of the motorbike is possible to see the twist that has had the chassis in the different points of the track and how this affects the behavior of the motorbike creating more or less understeer or oversteer. 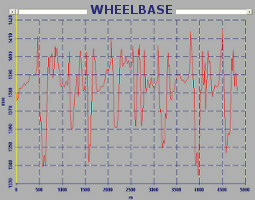 As you have seen from this short description the Racing Bike Analysis software is a fundamental tool to be able to take advantage in a manner really productive of the data acquired from the acquisition of the motorbike. 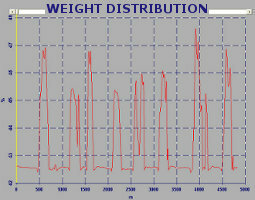 The technicians and track engineers of a team thank the use of this software can have a big help in the work , in fact the data and information calculated by the software allow you to have clear and complete indications on how the motorbike and the tires have behaved in all its aspects , and then take the optimal decisions to improve the set-up of the motorbike will be much simpler and more effective.